Gymnastics & More offers a variety of gymnastics classes for all ages! The absolute best in early childhood movement education. Beginning at 18 months, you and your child can participate in our Parent & Child Gymnastics Classes. These classes allow you to spend a wonderful time with your toddler in an environment where the child has a variety of activities that will enhance his/her physical awareness and coordination. Your child will learn to climb, swing, run, jump and roll in a safe and healthy environment. Quality time at its best! The age range for this class is 18 months-3 years. Once your child is 3 years old, he/she has the option of going into our preschool classes. These classes offer the best in movement education. Children will learn skills on all of the gymnastics events: Vault, Bars, Beam, Floor, Rings and Trampoline. This class will develop your child’s physical abilities and self-confidence…PLUS, THEY WILL HAVE FUN DOING IT! The age range for this class is 3 years – 5 years. 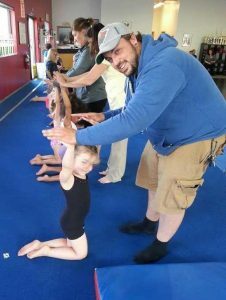 Children new to gymnastics or experience athletes are welcome in this class. 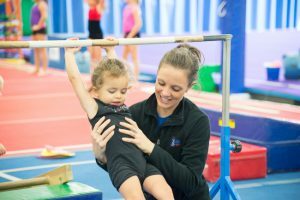 Our coaches will use a combination of kid sized circuits and traditional gymnastics equipment to develop fundamental gymnastics skills, flexibility, balance, strength and have fun! Vault, bars, beam, floor are taught as well as trampoline! 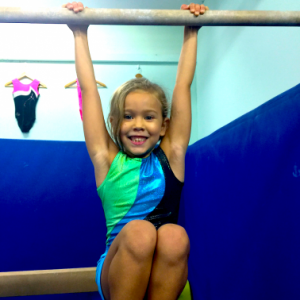 Classes are designed for children who have mastered fundamental gymnastic skills on all events. More advanced skills are taught during these longer class periods. Enroll based on their Gymnastics & More instructor’s referral or call the Front Office at (843) 249-5867 to schedule an evaluation. At 5 years of age and up, boys can participate in our Boys Gymnastics Classes. We use the sport of gymnastics to help boys excel at all the sports they love. 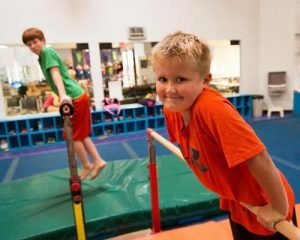 Gymnastics and More uses all of our available Junior Olympic equipment and Just For Kids bars to teach boys gymnastics skills and develop physical strength and coordination.